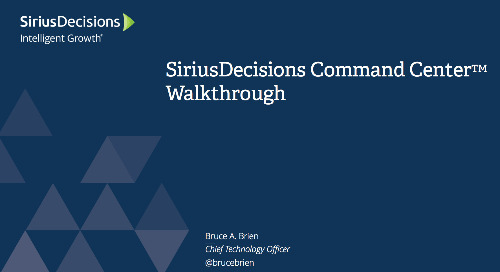 We would like to introduce the SiriusDecisions Channel Sales Profitability Model, a diagnostic tool that measures a supplier’s ability to yield financial gain through partnering. Importance. A definition of channel profitability and why being assessed beyond traditional measures is critical for a channel sales organization. Process activities. A proven, standardized and repeatable process for defining, calculating and delivering intelligence about a supplier’s channel business. Outputs. An output of data in each step of the model that is incorporated into the overall measurement and used to determine profitability. Tool. A scorecard that enables channel sales leaders to quantify the probability of achieving organizational goals. Learn how Arrow Electronics realized substantial growth through programs leveraging a series of dashboards to enable the identification of prospects with the highest propensity to buy. Qlik established an intuitive channel partner enablement program that could easily evolve with the company. 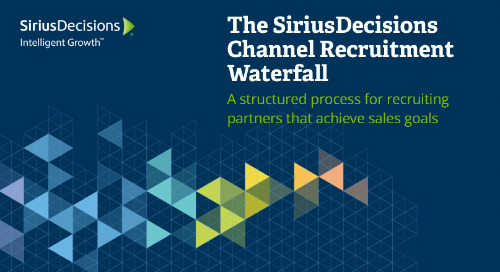 To help organizations build their own recruitment process, SiriusDecisions has designed the Channel Recruitment Waterfall. 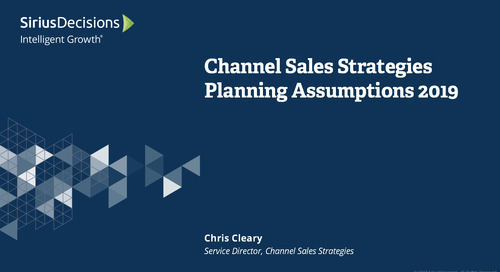 In this replay, we describe the Channel Sales Profitability planning assumptions that channel sales leaders are incorporating into their planning for 2019. 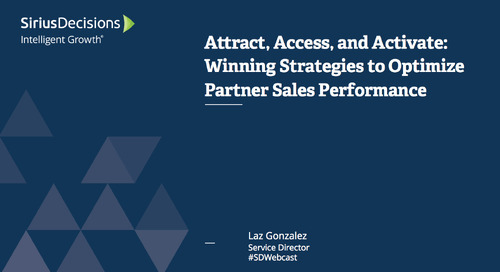 Explore the model that helps suppliers increase their speed to market and identify the key functional processes and activities required to support partners and establish channel excellence. Collaborating with partners to build business plans should be a process that defines mutually beneficial strategies that drive action, accountability and revenue growth. 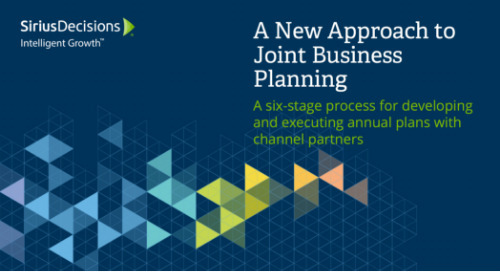 C-suite support is critical to selling successfully through channel partners. Yet, many executives still question the value of indirect channels and prioritize direct sales to a fault. 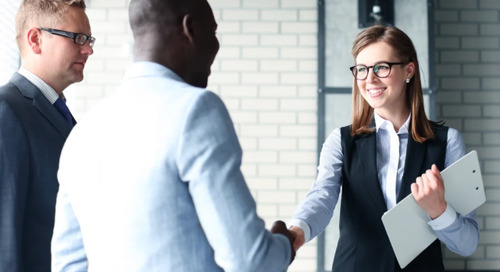 Are you having problems recruiting the right partners to drive channel sales success or getting new channel partners productive in a timely manner…or at all? Is Your Channel Pricing Strategy on the MAPP? Learn the ins and outs of instituting a minimum advertised price policy (MAPP). Win the competition for channel partner mindshare.